Tirana, Albania: The 8 Nentori Publishing House, 1979. Paperback. 223p., wraps, minor abrasion on the spine else very good condition. New York: Pioneer Publishers, 1956. Pamphlet. 32p., 4.5x7 inches, stapled pamphlet, small bookshop stamp on title page, else very good. Pioneer Pocket Library, No. 3. Originally written at the end of 1934. 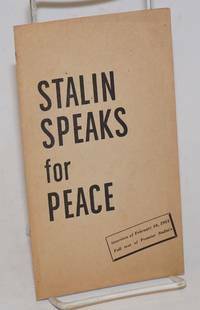 Moscow: Foreign Languages Publishing House, 1945. Hardcover. 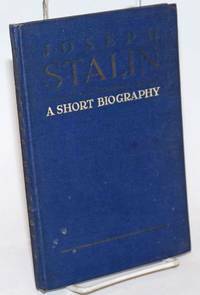 87p., 5.25x8 inches, boards, frontispiece portrait of Stalin. Front cover stained, endpapers unevenly toned, else good condition. No dj. 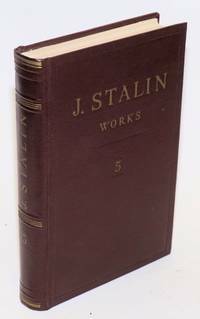 Moscow: Foreign Languages Publishing House, 1939. Sixty-one different 4.25x5.5 inch booklets, avergage length 25-40 pages, almost all in very good condition. 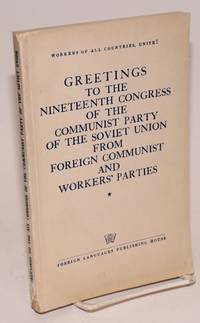 The boxed set sold at the World's Fair contained 58 titles, but some were apparently added in the next year or two, as a complete listing of titles from the April 1941 issue of "Soviet Russia Today" lists 63 in all (a photocopy of that list is included). 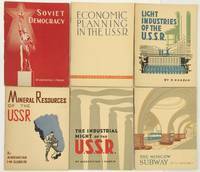 The booklets missing from this set are "The Jewish Autonomous Region" and "The Soviet Press." 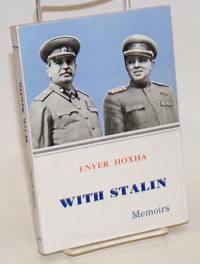 Each is authored by an expert in the subject; for example, "The Soviet Screen" is by Eisenstein. 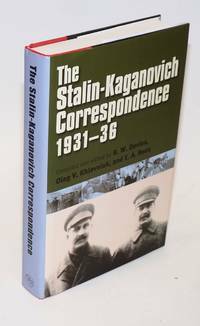 Many outstanding examples of cover design; the "Magnitogorsk" is decorated in metallic ink and in blind, with red lettering. "The Moscow Subway" is classical 1930s motif. Two of the polar exploration texts have wraparound woodblock engravings. 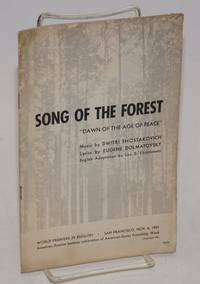 While most are in very good condition, several have a touch of rust to the staples; Moshkovsky's "Parachute-jumping and gliding" has rusted staples and soiled wraps, and "Soviet youth at work and play" has rubberstamps on the cover indicating it was received by the Labor Research Association in New York in 1940. Bombay, India: People's Publishing House, 1948. Pamphlet. 19p., wraps with minor staining and creasing else good condition, 5x7.25 inches. New York: National Council of American Soviet Friendship, 1951. Pamphlet. Eight panel brochure, paper browned, some creasing else good condition, 4.25x7.5 inches. New Haven: Yale University Press, 1995. xviii, 276 pages, hardcover in dustjacket; ownership signature, otherwise very good. New Haven: Yale University Press, 2003. xviii, 431 pages, hardcover in dustjacket; ownership signature, otherwise very good. Chicago: The Workers Congress (M-L), 1977. 28p., staplebound pamphlet, covers unevenly toned. 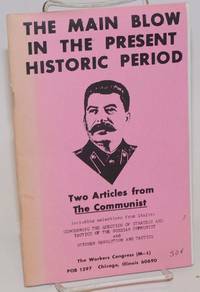 Reprints from the June and May 1977 issues of the Workers Congress periodical with a new introduction. Calcutta: New Book Centre, 1975. 154p., paperback, light handling wear. Moscow: Foreign Languages Publishing House, 1953. Hardcover. 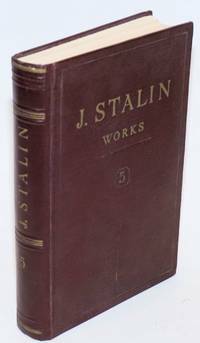 xiv, 451p., hardbound in series format, i.e. 8x5 inch maroon oilcloth boards with decorative rulings in blind and titling in bronze. 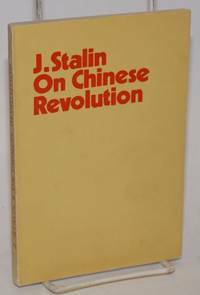 Good paperstock and respectfully neat casing-in (after all, rumors of his death, in 1953, might have been wrong). Sprinkles of foxing to top- and fore-edges the only flaw we see; casing is completely undamaged, no ownership or other markings inside, a good to very good copy. 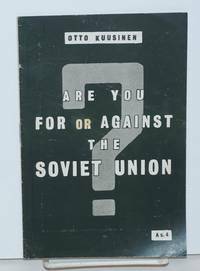 Russian Edition Published by Decision of the Central Committee of the Communist Party of the Soviet Union (Bolsheviks). Moscow: Foreign Languages Publishing House, 1953. Hardcover. 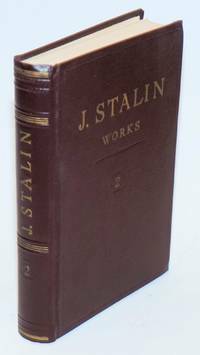 xiv, 454p., hardbound in series format, i.e. 8x5 inch maroon oilcloth boards with decorative rulings in blind and titling in bronze. Good paperstock and respectfully neat casing-in (after all, rumors of his death, in 1953, might have been wrong). Two leaves, comprising pp.13-16, have been impacted and torn a half-inch into the foredge, nearly affecing the print-blocks; these tears have flattened out and we see no other fault over all, no other damage, no ownership or other markings, an almost very-good copy. 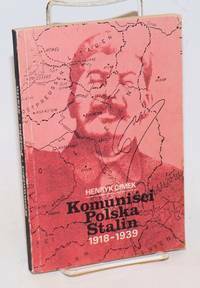 Russian Edition Published by Decision of the Central Committee of the Communist Party of the Soviet Union (Bolsheviks). Moscow: Foreign Languages Publishing House, 1953. Hardcover. xiv, 454p., hardbound in series format, i.e. 8x5 inch maroon oilcloth boards with decorative rulings in blind and titling in bronze. Good paperstock and respectfully neat casing-in (after all, rumors of his death, in 1953, might have been wrong). Casing is a little dim from age but completely undamaged, no ownership or other markings inside, a very good copy. 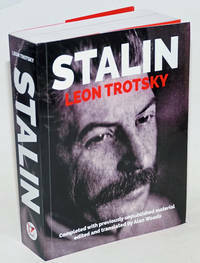 Russian Edition Published by Decision of the Central Committee of the Communist Party of the Soviet Union (Bolsheviks). Moscow: Foreign Languages Publishing House, 1953. Hardcover. xiii, 440p., hardbound in series format, i.e. 8x5 inch maroon oilcloth boards with decorative rulings in blind and titling in bronze. 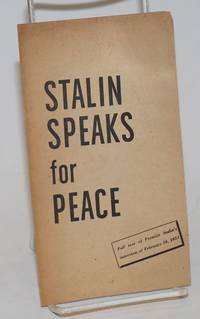 Good paperstock and respectfully neat casing-in (after all, rumors of his death, in 1953, might have been wrong). Casing is a little bit crimped at the head rim, but completely undamaged, no ownership or other markings inside, a very good copy. 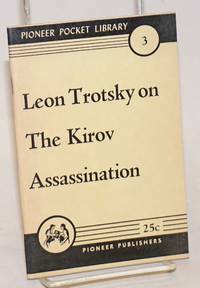 Russian Edition Published by Decision of the Central Committee of the Communist Party of the Soviet Union (Bolsheviks). London: Wellred Books, 2016. Paperback. xl + 890p., 6.75x9 inches, massive tradepaper, stiff wraps with flaps, lower right corner of front cover has small ding, otherwise very good condition. Completed with previously unpublished material, edited and translated by Alan Woods. Bialystok: Krajowa Agencja Wydawnicza, 1990. Paperback. 202p., wraps, front wrap and half title damp stained, pages evenly toned, wraps worn, pen marks on rear wrap, a reading copy only. San Francisco: American Russian Institute, 1951. Pamphlet. 15p., wraps, musty, wraps worn and with holes, although none obscure the text. A reading copy only. 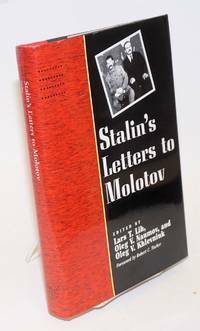 Lyrics to the song celebrating Stalin and the USSR, with a short essay by Jane Lansing on Stalin's plans for construction and infrastructure projects. New York: National Council of American Soviet Friendship, 1951. Pamphlet. Single sheet folded to make 8 pages. Musty, evenly browned, small closed tear on edge of front wrap, else good condition. Tokyo: Kaihoh-Sha, publishers, 1992. Paperback. 223p., a few vignette-sized illustrations scattered in the text, softbound in 8x5.5 inch plain printed wraps and dust jacket that has titling and a cartoon; jacket is a little worn round the margins, book itself would be described as "fine" except for cockroach tracks along the top edge and a few to foredge, these fairly pale such tracks but.. unmistakeable. A scarce book, as is. 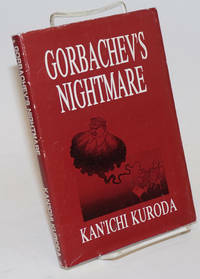 Purports to depict the contents of Gorby's mind in dream- and nightmare-states, with, thrown in, conversations amongst numerous Japanese leftists, also Trotsky, Stalin, Marx and Engels. Moscow: Foreign Languages Publishing House, 1953. 212p., paperback, bottom of spine panel chipped, a decent reading copy. Greetings from representatives of over 60 countries.